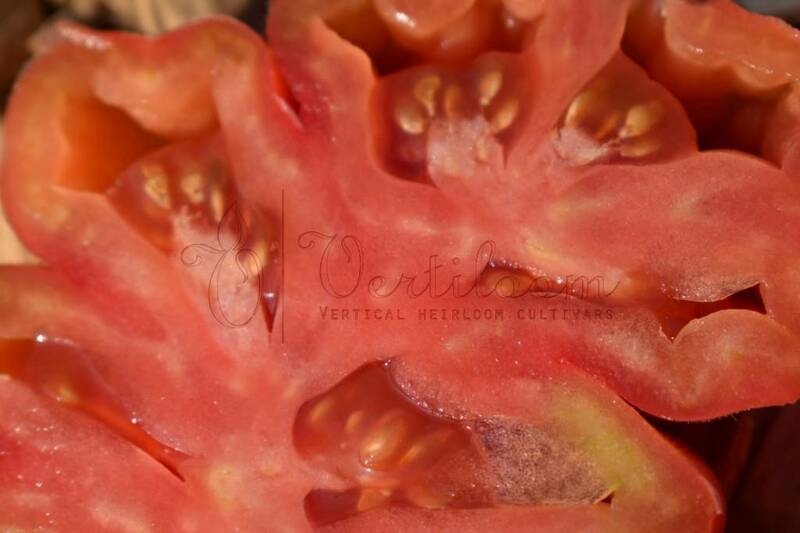 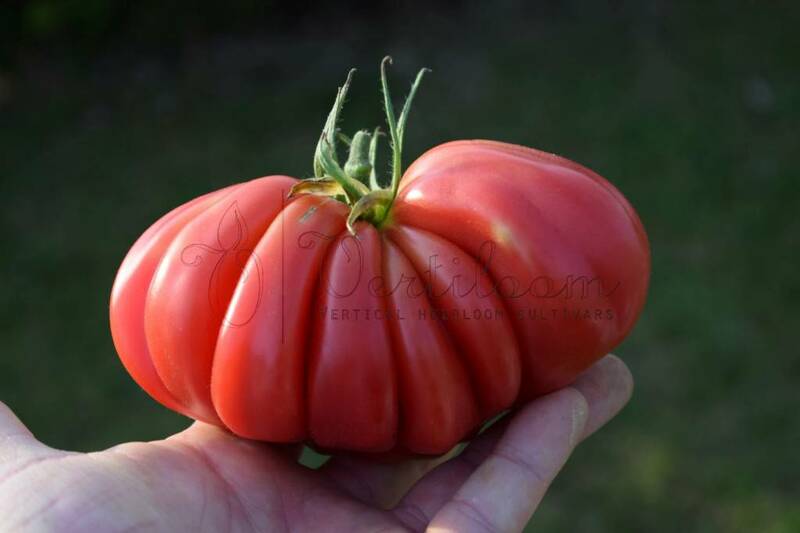 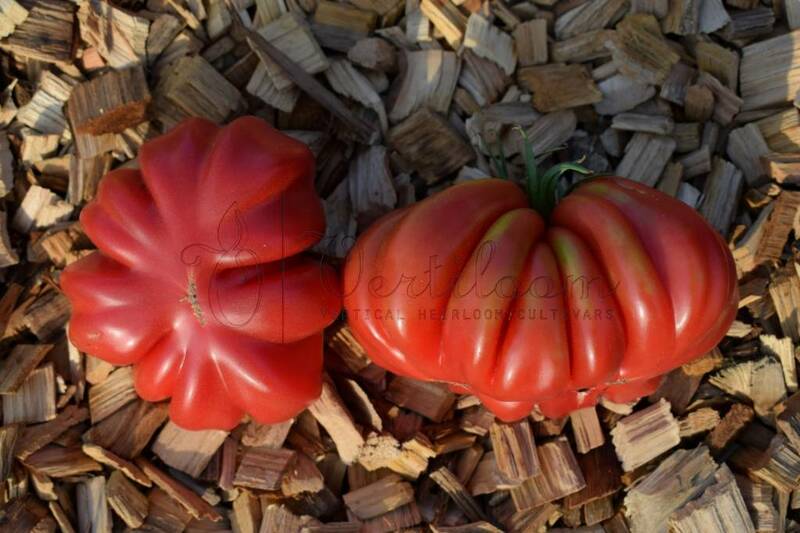 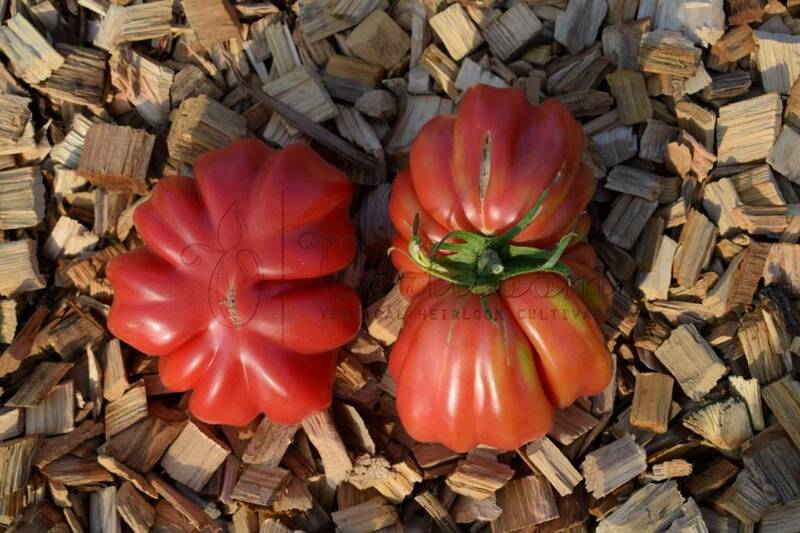 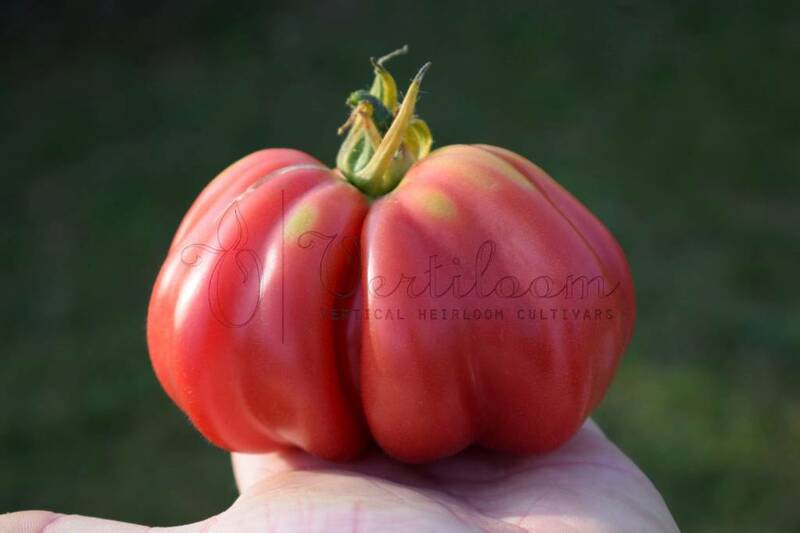 Rare French heirloom with strongly ribbed red fruits. 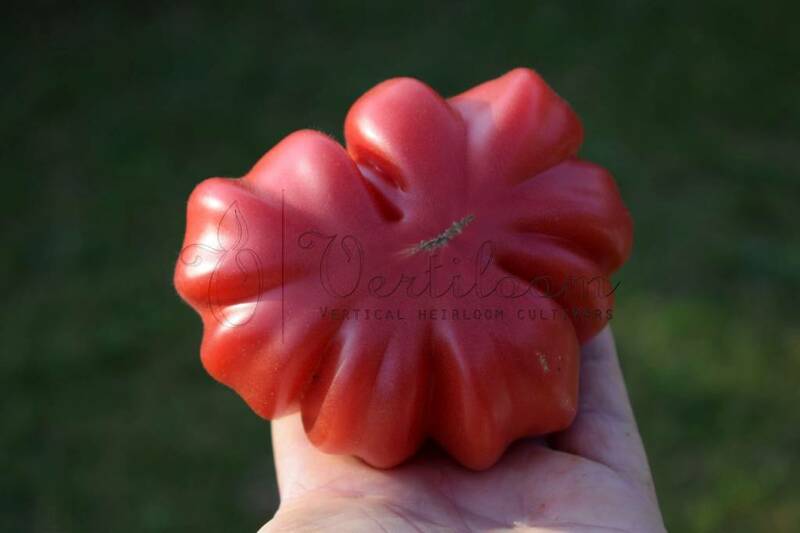 Indeterminate plants with good yields. 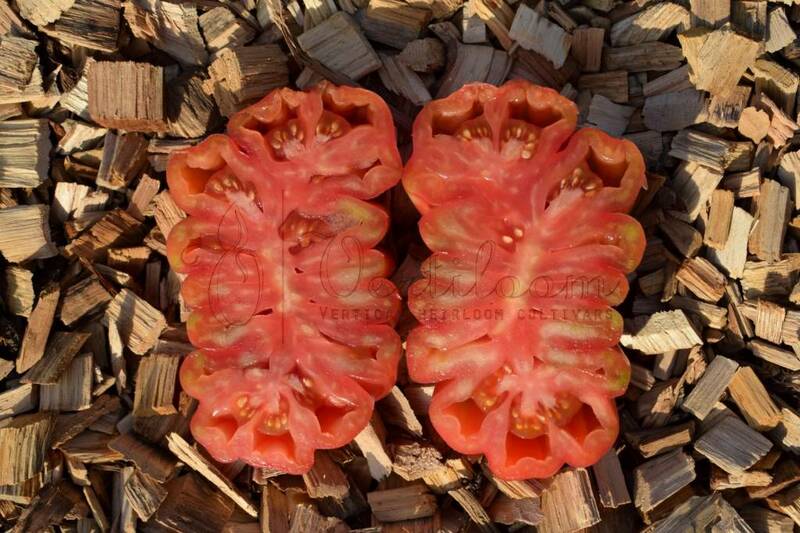 Slightly harder flesh but good taste, often hollow seed chambers.